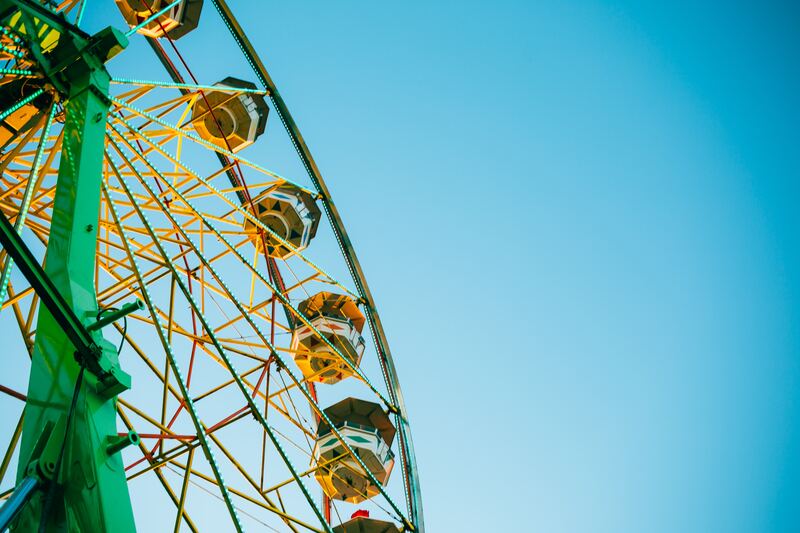 Summer is officially over, but that doesn’t mean you can’t visit Ohio’s premier amusement parks — and get a great deal while you’re at it. 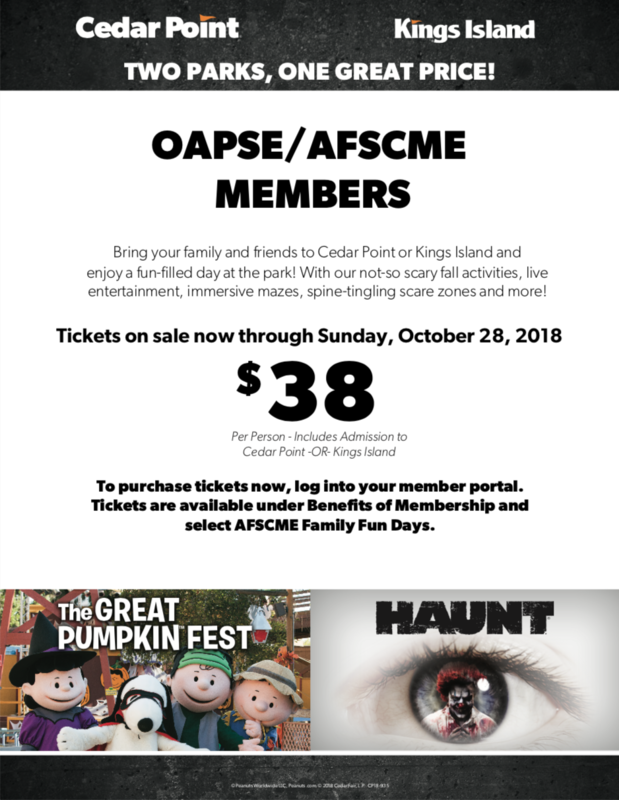 OAPSE members get fantastic deals at Cedar Point and Kings Island through Sunday, October 28. Admission to either park for the day is only $38. Just log on to MyOAPSE, enter your member ID number and last name in all caps. Go to My Benefits and then AFSCME Family Fun Days. When you click on the Cedar Point/Kings Island button, you will be directed to the store where you can purchase your tickets. Remember, THESE DISCOUNTS ARE AVAILABLE TO YOU ONLY BECAUSE YOU ARE AN OAPSE MEMBER!